For some reason I have been baking up a storm lately, from homemade sweet rolls, to chocolate caramel brownies, I just can’t stop. Chop chocolate cranberry bark up into nice bite size chunks, set aside (to snack on while you assemble the rest of the cookie). In large bowl, beat butter and sugars until creamy. Add combined flour, baking soda, spices and salt; mix well. 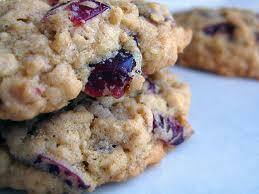 Add oats and chocolate cranberry bark; mix well. 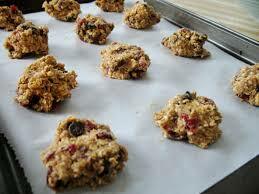 Drop dough by rounded tablespoonfuls onto un-greased cookie sheets. 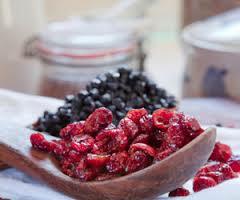 * Bark may be substituted for 6 – 8 oz chopped bittersweet dark chocolate and 1 cup cranberries. My family was a big fan of chocolate chip cookies until one of our employees at Cocoa Mill started using Cocoa Mill’s Bittersweet chocolate shavings in their cookies… They are now converts and will accept nothing less. This is the perfect cookie for the Holidays. Cocoa Mill’s Bittersweet Chocolate is perfect for baking. 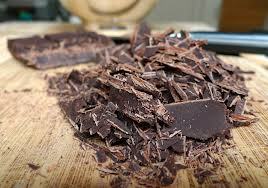 In this recipe you will need 1/4 lb of dark chocolate and a good sharp knife to shave the chocolate into small pieces. Cream butter and sugars together, add egg and vanilla, mix well. Add flour, baking soda and salt, mix well. Add the Chocolate shavings and mix well one more time. Spoon cookies onto a greased cookie sheet. Bake in the oven for 8-10 minutes. When golden around the edges take out and cool on a wire rack. Enjoy with a tall glass of cold milk. These cookie freeze well, this allows you to pull them out and enjoy them whenever you wish. They also make a beautiful and delicious gift for loved ones and friends during this season of giving. Last week I posted a recipe for chocolate brownies. I hope you all enjoyed them! This week I have a tasty little treat that is very easy to make. So grab your fun hat and let’s whip up some chocolate nonpareil cookies! You will need some mini nonpareil ( I use Cocoa Mill’s dark chocolate nonpareil, just because they are readily available, and super good, you can use milk chocolate nonpareil too if you wish). Cream butter and sugars together, add egg and vanilla, mix well. Add flour, baking soda and salt, mix well. 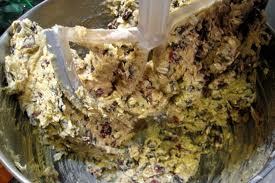 Roll cookie dough into 1 inch balls and place on a greased cookie sheet. 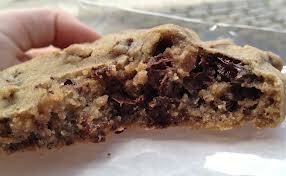 Place a chocolate nonpareil in the center of each ball of dough and press down to flatten cookie. Bake in the oven for 8-10 minutes. When lightly brown take out and cool on a wire rack. Enjoy with a tall glass of cold milk. 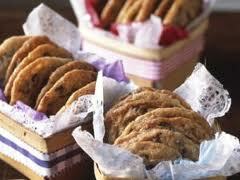 These cookie freeze well, this allows you to pull them out and enjoy them whenever you wish.